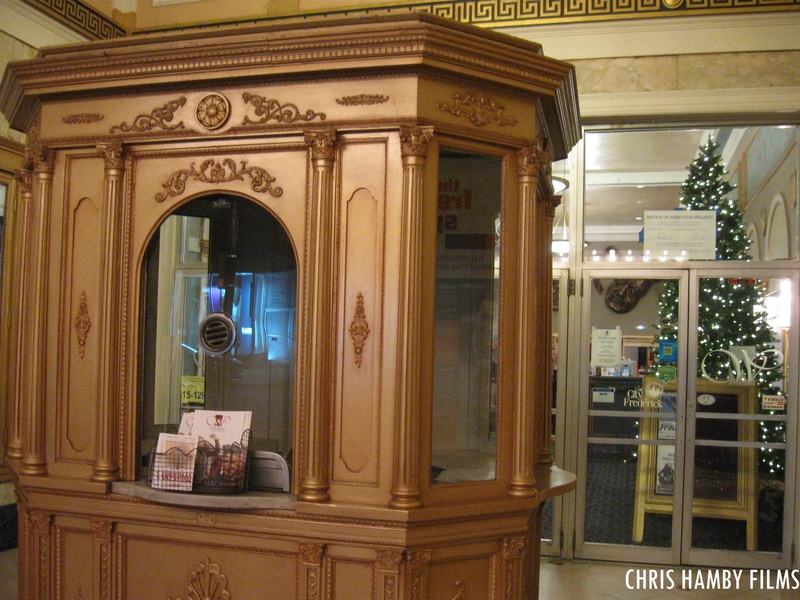 Vintage “Tivoli” Ticket booth outside of the Weinberg Center for the Arts (originally taken in November 2015). To all fellow “friends of the Matinee,” thanks for reading! There will be more articles (for both sites) coming soon. Questions? Comments? Feel free to drop a line at the comments section! The iconic “satellite of love” will be launched back into orbit with cheesy movies, thanks to a successful online crowdfunding campaign. From the “Bring Back MST3K” Kickstarter page, featured (from left to right) are Felicia Day, Patton Oswalt, Joel Hodgson, Crow T. Robot, Jonah Ray and Tom Servo (Best Brains, Inc./Shout! Factory LLC). After being off the air for 16 years, the cult series “Mystery Science Theater 3000” will be coming back. It was noted that series creator (and the first host of the series) Joel Hodgson had raised $6.3 million, exceeding the $5.5 million goal that was met on the Kickstarter deadline of Friday, Dec. 11. The original proposal for the revival of MST3K was to have 12 new episodes of the series, but was expanded to 14 due to the overall success of the Kickstarter campaign. According to William Hughes of A.V. Club, the “Bring Back MST3K” Kickstarter group generated the largest amount raised for a video/television series project through the use of crowdsourcing. In addition to comedian Jonah Ray as the new host, who else will be in the new MST3K series (along with the bots, and will any original cast members return)? Iconic robot companions Tom Servo and Crow T. Robot will be getting some new vocal stylings from two stand-up comedians. Servo will be voiced by Baron Vaughn and Crow will be voiced by Hampton Yount. In addition to Joel Hodgson, there’s no word if any of the cast members from the original run of the series (Michael J. Nelson, Trace Beaulieu, Kevin Murphy, Frank Conniff, Mary Jo Pehl, Bill Corbett and J. Elvis Weinstein) will make cameo appearances in the new MST3K episodes. Hodgson announced that all former cast members were more than welcome to make cameo appearances in new episodes. According to Bonnie Burton’s article on CNET, several notable celebrities have agreed to make cameo appearances for new episodes of MST3K, including Jerry Seinfeld, Mark Hamill, Neil Patrick Harris, Jack Black, Bill Hader and Joel McHale. Here’s hoping that the new episodes of “Mystery Science Theater” will be a success- Season’s Greetings to all fellow MSTies! A pre-MST3k/RiffTrax glimpse of Kevin Murphy, hosting the KTMA-TV 23 “New Year’s Melon Drop” (as investigative reporter “Bob Bagadonuts”) from 1987. 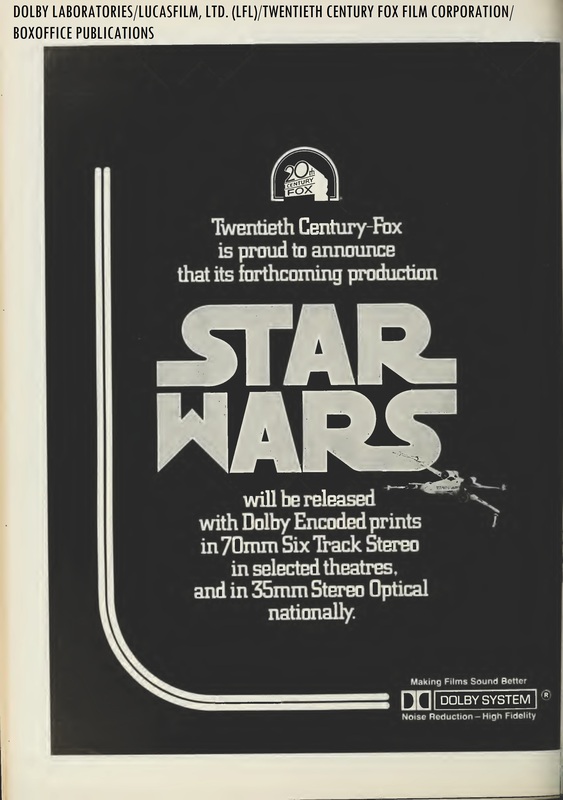 1977 Twentieth Century Fox exhibitors’ ad for the release of “Star Wars” in Dolby Stereo (from BoxOffice Magazine). When George Lucas’ “Star Wars” premiered in theaters on May 25, 1977, his film reintroduced stereophonic sound to moviegoers and changed the face of cinema audio. As television affected the film industry in the 1950’s, the major studios had to react quickly, and offered something that was “bigger and better.” In 1953, Twentieth Century Fox was the first studio to introduce widescreen, high-fidelity motion pictures in “CinemaScope.” Other widescreen formats would soon follow, including Paramount’s “VistaVision,” Todd-AO and Panavision. Stereophonic sound was added to this, through the use of recorded magnetic striping onto motion picture film stock. Due to the expense of encoding magnetic stereo sound onto film, this was usually limited for “roadshow” presentations of big-screen spectacles in major cities, while most suburban cinema venues would stick to monaural optical sound prints. Dolby Laboratories, which was known for its noise-reduction techniques in prerecorded audio cassettes, wanted to improve audio recording and sound presentation for the motion picture industry, feeling that the existing Westrex (former Western Electric) and RCA motion picture sound systems were outdated. The company developed noise-reduction technology for motion picture sound recordings in the early 1970s and Dolby engineers decided that quadraphonic sound would well-suited for its noise reduction technology. The major breakthrough for Dolby’s motion picture sound system was the release of George Lucas’ “Star Wars” (Episode IV: “A New Hope”) in 1977. According to a 2013 blog post that was published by the company, every print of “Star Wars” had a Dolby-encoded stereo soundtrack, on magnetic sound prints (for 70mm prints) and for optical prints (for regular 35mm prints). 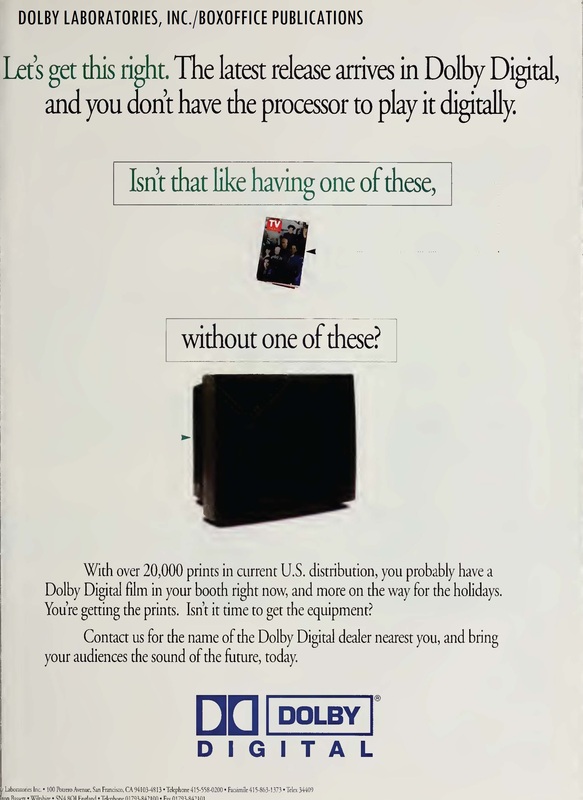 Ad for Dolby Digital (from BoxOffice Magazine). We have come a long way from Dolby’s entry in motion picture audio- from surround sound, to digital sound and “Atmos,” to competing systems including DTS and Ultra-Stereo, to home theater systems, it was all thanks to Dolby engineers (and sound designer Ben Burtt) for providing better fidelity and depth into cinema audio. Questions about Dolby, DTS, any sound format or the films in the “Star Wars” franchise? Drop a line at the comments section! PROLOGUE: This is the second part of two articles on classic/cult film screenings at the Weinberg Center for the Arts. This was originally written as part of a group multimedia blog project in my Online Journalism class at Hood College (with two fellow “friends of the Matinee”). Enjoy! Fans of slapstick and classic comedy in the Frederick area may start the New Year by treating themselves to an afternoon of iconic comedy classics at the Weinberg Center for the Arts. The first film that will be shown in the Marx Brothers double feature event will be the 1935 film, “A Night at the Opera,” directed by Sam Wood. This was the brothers’ first film for Metro-Goldwyn-Mayer, alongside Margaret Dumont and Kitty Carlisle. 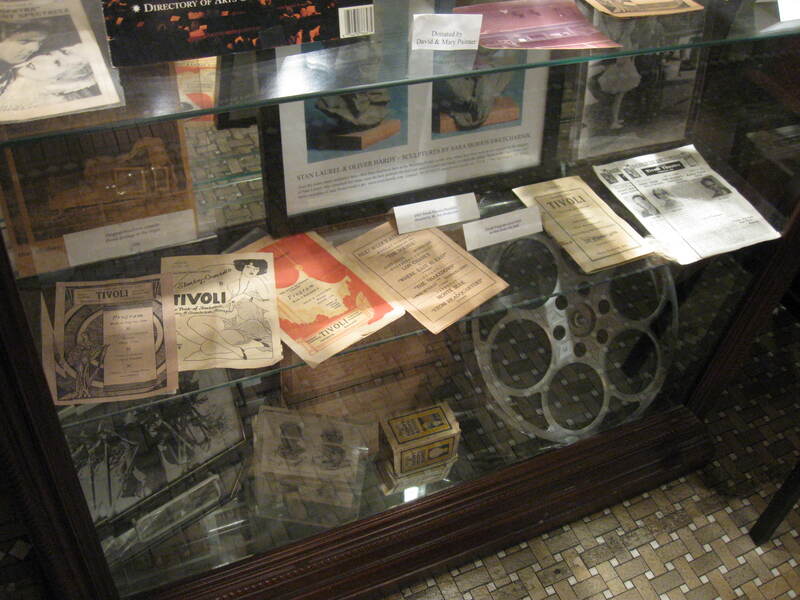 Vintage Tivoli Memorabilia booth, inside the lobby of the Weinberg Center for the Arts. Photo: Chris Hamby. Then, the Weinberg will showcase the 1933 motion picture, “Duck Soup,” directed by Leo McCarey. “Duck Soup” was the brothers’ last film for Paramount Pictures, featuring Dumont and the “fourth” Marx brother, Zeppo Marx. The two films were shown at Frederick’s crown jewel theater, when it was known as the Tivoli cinema during their general release years. Both Marx Brothers films were made by two different studios, and the theater was owned by rival studio Warner Bros. Pictures, which owned the Tivoli from the late 1920s until 1948. 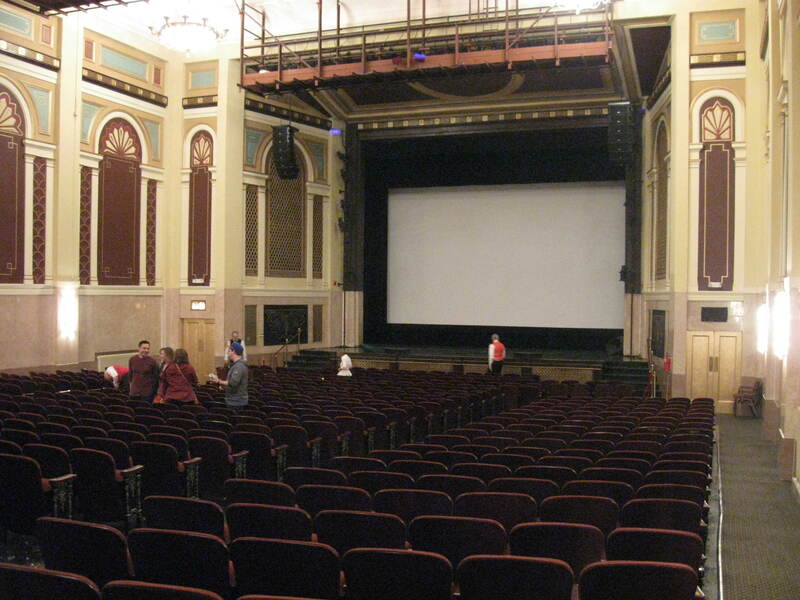 Interior of the Weinberg Center (former Tivoli) stage with movie screen. Photo: Chris Hamby. John Healey, executive theater director of the Weinberg Center for the Arts, said that the upcoming Marx Brothers double-feature screening of “A Night at the Opera” and “Duck Soup” is important to the theater’s motion picture heritage. “Film is a very large part of the history of the Weinberg Center,” Healey said. Jef Cliber, box office manager of the Weinberg Center, said that he was delighted that the two Marx Brothers films would make their return to the big screen. Katherine Orloff, an assistant professor of journalism at Hood College, said that the timeless humor of the Marx Brothers would be a great way to kick off the New Year. The cost of admission for the Marx Brothers double feature screening at the Weinberg Center is $7 for adults and $5 for children, students, senior citizens, Frederick city employees and members of the military. Jan. 10 at 2 p.m.
Questions/comments about The Marx Brothers (or the Marx Brothers double feature screening)? Drop a line at the comments section! Viewers of Turner Classic Movies and fans of classic/cult science-fiction films will be in for a treat. The network will showcase Robert Wise’s critically-acclaimed 1951 sci-fi masterpiece on the morning of Dec. 27 at 10 a.m. To kick off the New Year, TCM will have an encore showing on the afternoon of Jan. 1 at 3:45 p.m. Publicity photo from “The Day the Earth Stood Still” (1951). Source: Lantern Media Archive. Publicity photo from “The Day the Earth Stood Still” (1951). Source: Lantern Media Archive Michael Rennie as the alien Klaatu, Patricia Neal as Helen Benson, Hugh Marlowe as Tom Stevens, Sam Jaffe as Jacob Barnhart, Lock Martin as the robot “Gort,” Frances Bavier as Mrs. Barley and Billy Gray as Bobby Benson. A cameo appearance is made by journalist Drew Pearson. Classic television enthusiasts may recognize Bavier from her role as Aunt Bee on “The Andy Griffith Show” (which ran from 1960-1968), and Gray from his role as Bud Anderson on “Father Knows Best” (which ran from 1954-1960). 51 years after its general release, “The Day the Earth Stood Still” still holds up as one of the definitive (and pioneering) science fiction films. With Bernard Herrmann’s iconic orchestral score (with Theremin effects) and Leo Tover’s sharp cinematography, you will not be disappointed in Robert Wise’s science fiction masterpiece. To paraphrase Turner Classic Movies’ recent slogan, “Let’s Movie!” Happy Holidays and Season’s Greetings to all in CMA304- Enjoy! Questions/comments about “The Day the Earth Stood Still” or anything about classic/cult film? Drop a line at the comments section! PROLOGUE: This is the first in a two-part series on film screenings at the Weinberg Center for the Arts. This was originally written as part of a group multimedia blog project in my Online Journalism class at Hood College (with two fellow “friends of the Matinee”). Part II (in relation to an upcoming film screening in the Weinberg Center’s “Cinema Classic Series”) will appear here next week. Enjoy! Cult movie fans in the area were excited to end their Black Friday by watching a non-holiday film favorite at the Weinberg Center for the Arts. Rob Reiner’s 1984 comedy “This Is Spinal Tap,” was shown as part of the theater’s Flying Dog Brewery movie series on the evening of Friday, Nov. 27. Patrons who came in for the screening of “This is Spinal Tap” treated themselves to craft beer provided by Flying Dog in the lobby of the theater and participated in a movie trivia game before the screening. Attendees who answered correctly won a custom-made “Spinal Tap” movie poster, designed by the brewery’s graphic artists. The theater showcased Reiner’s fictional documentary on a fake British rock band, featuring Harry Shearer as bassist Derek Smalls, Michael McKean as lead guitarist David St. Hubbins, and Christopher Guest as guitarist Nigel Tufnel. During the film’s general release in 1984, it was not screened at the Weinberg. “This Is Spinal Tap” was originally shown at the now-defunct “Cinemas III” at the Francis Scott Key Mall, according to the May 21, 1984 edition of The Frederick News-Post. Ashley Birdsell, marketing manager of the Weinberg Center, said that the marketing plan for “Spinal Tap” and other films in the cult movie series have been successful. Rohry Flood, digital marketing manager for Flying Dog Brewery, said that the company’s social media marketing methods have been successful for promoting the brewery’s movie series at the Weinberg Center. Flood said that the film would be a great escape from the stress of the holidays, since “This is Spinal Tap” would not fall under the holiday film category. “It’s an excellent way to wind down after all this holiday madness,” Flood said. Tim Jacobsen, adjunct instructor of visual media at Hood College, said that the Flying Dog film series was a great showcase for all cult movie fans in the area. Audiences are watching the latest policy slides for events sponsored by Flying Dog Brewery. Photo by Chris Hamby. For those that are looking for one last holiday treat, the Weinberg Center will showcase the 1989 cult comedy favorite, “National Lampoon’s Christmas Vacation,” featuring Chevy Chase and Beverly D’Angelo on Wednesday, Dec. 30 at 7:30 p.m.
A “happy hour” event will take place in the lobby at 6:30 p.m. The cost of admission for the Flying Dog movie series is $7 for adults and $5 for students, senior citizens, city employees and members of the military. Questions/Comments about “This Is Spinal Tap” or the Flying Dog Movie Series at the Weinberg? Drop a line at the comments section! We’ve come a long way: A sampling of favorite films- including the original 1933 “King Kong” (from the “Silver Screen Reflections/At The Matinee” media archive). 16mm “rental versions” of feature films. 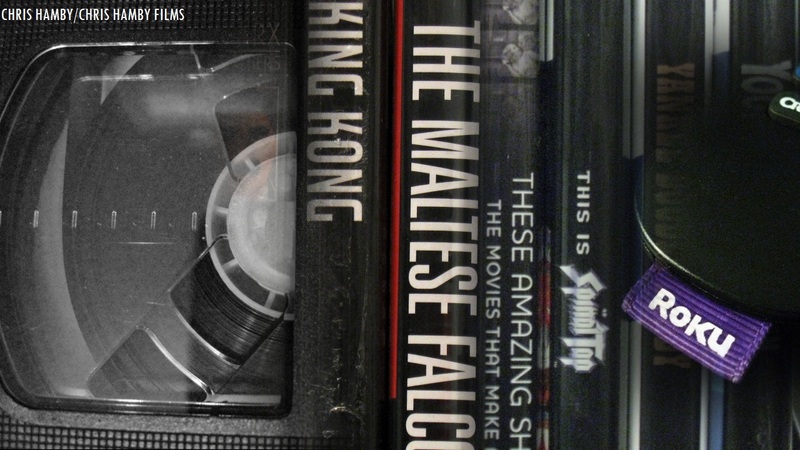 The videotape “format wars.” Betamax. VHS. LaserDisc. DVD-Video. The “high-definition disc wars.” HD-DVD. Blu-Ray Disc. Streaming video online. With the holiday season around the corner, you may be deciding to invest in the latest Roku streaming player, or to purchase the latest “smart” Blu-Ray disc player. In 2009, Warner Bros. Pictures launched the “Warner Archive” home entertainment line, focusing on unique and hard-to-find film and television programs from the studio’s backlog (including the RKO Radio Pictures library and the pre-1986 MGM holdings). The “archive” titles are released as “manufactured-on-demand” (MOD) DVD and Blu-Ray discs and are not available in stores. Warner Archive titles can be only purchased online from the studio, or through other web retailers including Amazon. Competing studios have followed suit, including Sony’s “choice” series (of vintage Columbia feature films) and Universal’s “vault” series. Donna Bertazzoni, professor of journalism at Hood College said that the studios’ MOD disc titles were beneficial for newer audiences who may want to watch rare films. “You don’t want to lose that history,” Bertazzoni said. Shout! Factory, a prominent film and music reissue label, launched “Shout! Factory TV” earlier this year, to compliment the company’s core business of issuing classic/cult films and TV shows on DVD and Blu-Ray disc formats. This is great for those who don’t want to pay expensive prices for DVD or Blu-Ray titles, or for those who are looking to “cut the cord” to combat the rising cost of cable television packages. Most of these services can be accessed on the web, or through streaming devices including Roku, Google’s Chromecast, Amazon Fire TV and Apple TV. 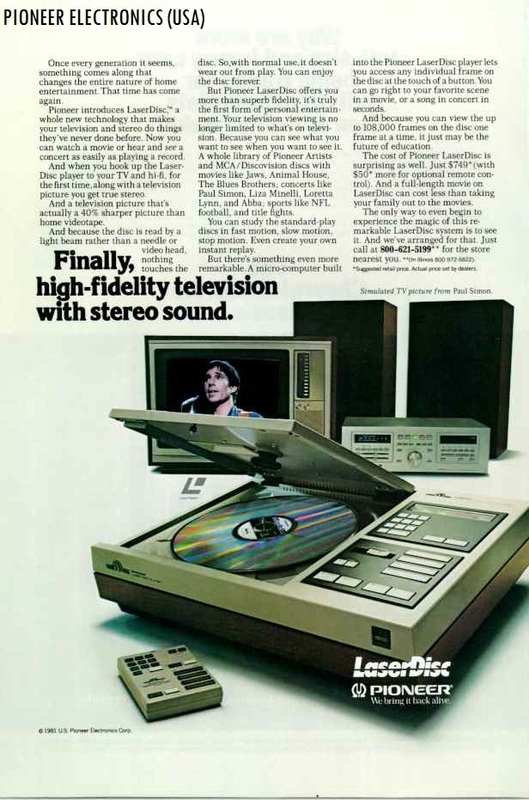 1981 Pioneer Electronics “LaserDisc” ad. Katherine Orloff, assistant professor of journalism at Hood College, said that physical media would still be popular with collectors, while streaming films would be the wave of the future. “We’re heading towards streaming for the standard of visual media,” Orloff said. Tim Jacobsen, adjunct professor of visual media at Hood, stated that films on physical media formats could become valuable in the future. SIDEBAR: The author/writer of “Silver Screen Reflections” uses both streaming (usually for titles on Shout! Factory TV) and physical media (DVD & Blu-Ray disc) to watch his favorite films, in addition to watching them in a theater (or on TV, if uncut/unedited). Questions/comments about physical media or streaming? Drop a line at the comments section!